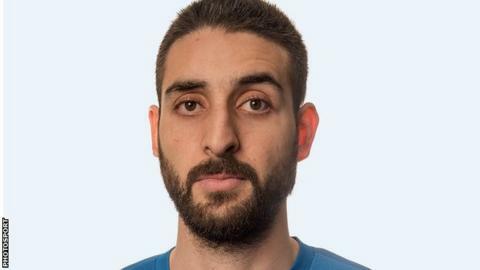 Atta Elayyan, the goalkeeper for New Zealand's futsal team, was one of those killed in Friday's mosque attacks in Christchurch, New Zealand Football (NZF) has confirmed. Fifty people were killed and 50 injured in shootings at two mosques in what is New Zealand's deadliest attack. The Kuwait-born Elayyan, 33, played 19 times for the Futsal Whites. "There is huge hole in our hearts," said Josh Margetts, NZF's futsal development manager. "Atta was a great man and well liked by everyone in the Futsal Whites squad and the futsal community. There are no words to sum up how we are all feeling. He will be sorely missed." Australian Brenton Tarrant, 28, has been charged with carrying out the shootings. New Zealand's top professional football team, the Wellington Phoenix, paid tribute to Elyyan and the other victims at their A-League match against the Western Sydney Wanderers, which went ahead after police consultation. The third cricket Test between New Zealand and Bangladesh that was due to start in Christchurch on Saturday was cancelled after the tourists witnessed the mass shooting. "My heart goes out to the futsal community," NZF chief executive Andrew Pragnell said. "They are a very tight-knit group and this news of Atta's death will be devastating for all involved in the game. We feel their pain and their grief."